In addition to a free plan, our Windscribe VPN review discovers the service offering two plans to potential customers. The only difference between the two is the pricing and duration of the subscription. 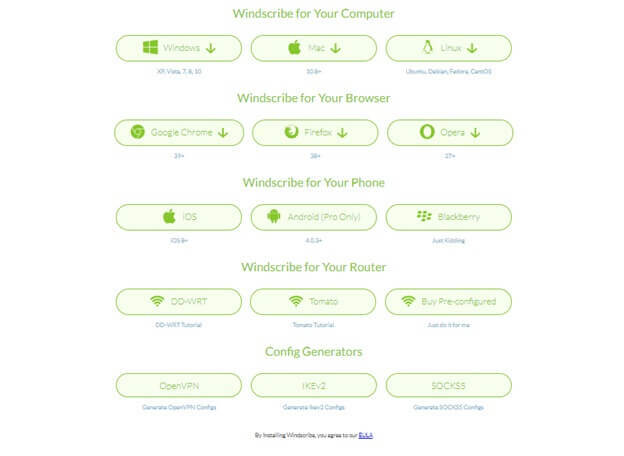 Labelled as Windscribe Pro, you have monthly and annual billing options. If you go for the latter, you will have to pay $9.00 per month. This may appear to be quite high, but you receive great reliability overall. With the annual plan, you receive a 10% discount, lowering the monthly pricing to $7.50. This means, you only pay $90 on a yearly basis. Although this tends to be quite expensive, our Windscribe VPN review finds the service offering quite the remarkable set of features. The Pro plan gets you unlimited multi-logins, ability to connect to 46 locations, P2P/Torrenting, Adblock, Firewall, and OpenVPN configs. It is not rare to find a newbie service offering a free trial to potential customers for testing their offerings. Windscribe takes things to a completely new level by ensuring the FREE plan never ends. You can use it for as long as you want, without any restrictions imposed on Torrenting. At the same time, you get to leverage Adblock and Firewall features. The only limitation users have on this plan, according to our Windscribe VPN review, is the bandwidth cap. 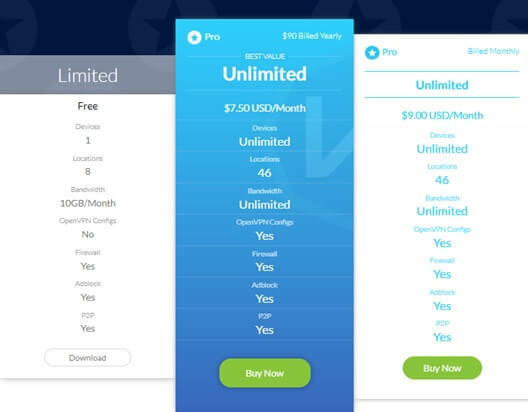 You can only use 10GB per month, but considering you get so much FREE – who would not want to sign up with the service? According to our Windscribe VPN review, signing up with the service is incredibly easy and straightforward. All you need to do is click on the “Sign Up” tab, located on the top right corner of the page. Here choose the plan you want to go forward with. For this example, we will be clicking on the “Use for Free” option. Upon selecting the plan, the site will redirect you to the Create an Account page. Here you will be required to enter a username and password. No email is necessary, but you can choose to provide one for support purposes. Paying with a credit card will require a billing address (only for those who live outside Canada or US). However, you can use Bitcoin to remain completely anonymous. 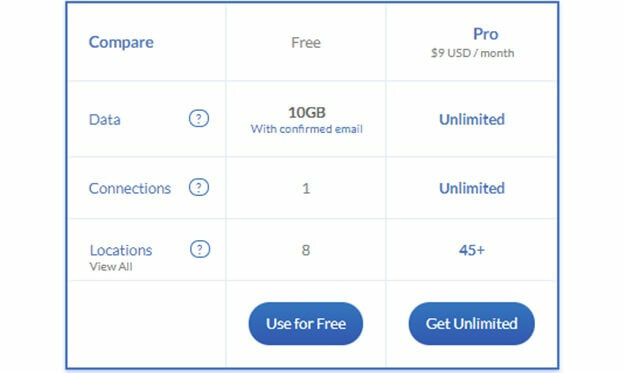 Our Windscribe VPN review discovers that you can use promo/discount codes for reducing the price of subscription on Pro accounts. At the same time, you even have plenty of choices to increase the bandwidth cap on the free plan. This ensures you have plenty of versatility when purchasing a Windscribe plan. You can check out the promo deals on CouponBirds and Slickdeals. If you are looking for a VPN, it is clear that you would want complete anonymity and privacy. Some providers have no way of keeping your payment information secure. According to our Windscribe VPN review though, you can use Bitcoin. This option allows subscribers to leverage the utmost level of anonymity while signing up. Other accepted methods include Visa, MasterCard, American Express, and PayPal. The provider even offers Paymentwall, which accepts 150 payment methods globally. Our Windscribe VPN review unveils that the service offers a refund/money back guarantee of three commercial days. You have the right to request a reimbursement without giving any explanations, but it is imperative that you do not violate the Terms of Service, which states you must not cross the 10 GB limit or place a request after three days. Considering Windscribe is a newbie in the marketplace of best cheap VPN, it still manages to generate quite the trust among users: offering both a refund and free trial. However, the provider encourages users to first try out the service before subscribing. The only difference between pro and free plans are bandwidth limitations and available servers. According to our Windscribe VPN review, the availability of servers depends on the plan you choose. 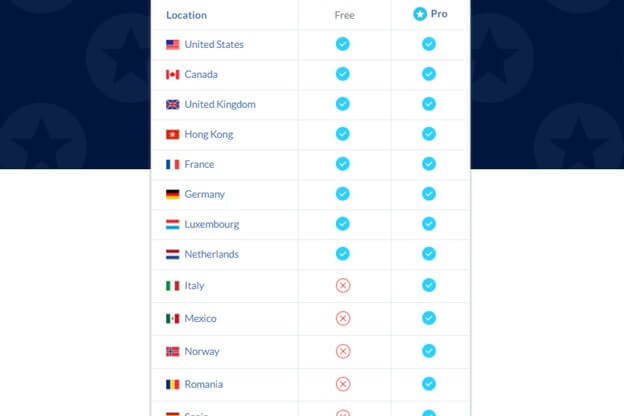 If you go for the free package, you can only connect to servers located in Netherlands, Luxembourg, Germany, France, Hong Kong, Canada, the United Kingdom, and the United States. If you choose the Pro plan, Windscribe adds 46 locations in their list of servers. In terms of privacy and security, Windscribe manages to do quite well. From the moment you enter the site, there is a very pleasant and secure feeling. We give full 10 marks to the website designer and developer for taking a solid interest in user-friendliness and intuitiveness. Apart from this, most of the rules are clear as crystal. All information about the service is available on the website itself. There were no broken links, empty pages, or troubles faced when signing up and using the VPN. The protocols offered boast high level of encryption, and the provider does not log any crucial IP information. It even allows users to leverage P2P/Torrenting in all its mighty on both: free and pro plans. Of course, if you want no data limits, you would have to choose the latter. According to our Windscribe VPN review, the provider is quite transparent concerning its logging policies. It clearly states that it logs your information relating to sign-ups only for performance tracking purposes. They will not store your ISP, assigned IP, logs of activity, or any metadata apart from your bandwidth usage for a 30-day period. However, the service further elucidates that this information is stored only to enforce free tier limitations and prevent abuse. Unlike other providers that tend to be quite vague, Windscribe also states that it will delete this data after a month’s time. The service may also store a timestamp of your last activity, but this is only to weed out inactive accounts. 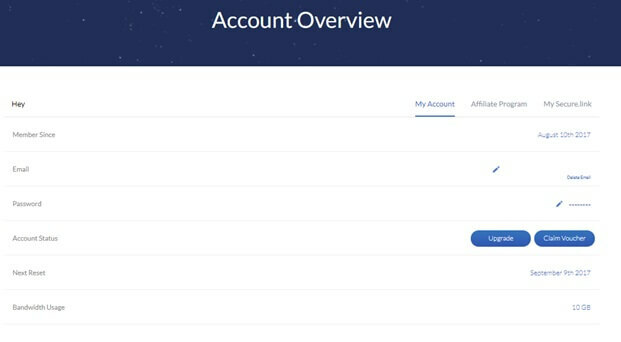 When you establish a connection to their servers, Windscribe also states it will store the amount of data transferred, time of connection, location, and OpenVPN username in a temporary location. This data expires within 3 minutes of session termination. The reason is same to enforce free tier limitations and prevent abuse of their free service. Our Windscribe VPN review discovers that the provider is quite open to P2P/Torrenting. There are no restrictions or bandwidth caps imposed, except if you are using the free plan. However, if you opt for the Pro plan, you can download/share torrents as much as possible – minus the worry of alerting governmental agencies. Thanks to the high level of encryption and security features, tracing your internet and torrenting activity back to your IP address is very difficult. Windscribe does not offer much versatility regarding the protocols available for connection. It uses the most secure option on the market, OpenVPN. Considering that this is the preferred choice for a majority of VPN users, it is not a bad decision by the provider. 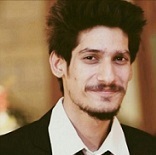 You can easily establish a secure connection via UDP (default mode). If you are facing trouble in connecting via UDP, our Windscribe VPN review unveils that it will automatically shift to TCP. This may reduce speeds, but offers exceptional security. If TCP does not work either, there is a Stealth mode available. It is the best option for use in countries that boast extremely strict internet laws, like China. The service handles data encryption with AES-256 ciphers coupled with SHA-512 authentication and the strongest 4096-bit RSA key for handshaking. The Windows client even offers IPv6 and DNS leak protection, which we will discuss in the Windscribe VPN review further below. 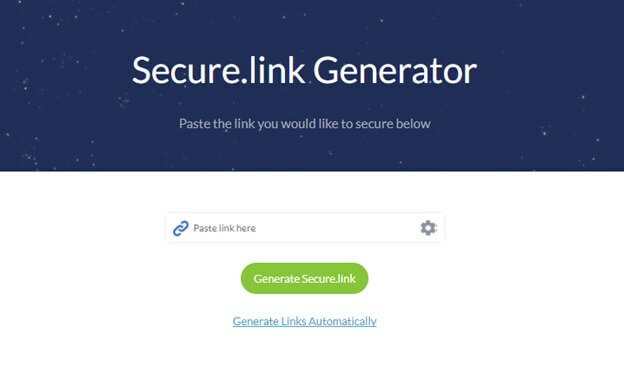 In addition to their VPN product, Windscribe offers a separate Secure.link URL shortening service. It typically allows users to create secure links from their browser by simply right-clicking on any page and hitting the “Copy Secure.link” button. You can even manually paste any website URL here. The website will scan the destination page for known ad beacons and trackers and alert users by generating a “report card”. This gives you an idea of how much tracking happens on your favorite websites. This service is not much different from Privacy Badger or Ghostery but does not exist in the form of an extension. According to our Windscribe VPN review, the service has quite an active support system. Although there is no live chat available, you have plenty of options available for receiving assistance. As the most basic method, you have email support at your disposal. 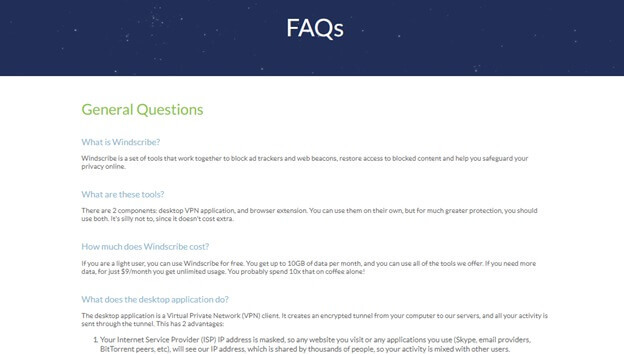 If you encounter any issue while using the VPN, you can simply give the provider an email at hello@windscribe.com. In addition to this, there is a separate Support page. Here you can receive help via three methods. First, you can opt to check out setup guides. Second, you can visit the FAQs page. Third, you can submit a ticket, which is almost as similar as sending an email. The choice is yours, but we will discuss each option below so that you gain better insight into the service’s reliability. Below is a screenshot of the Setup Guides page. Here you will find step-to-step instructions for configuring Windscribe on a multitude of platforms, browsers, devices, routers, and even software. You can learn how to setup the VPN on Windows, Mac, Ubuntu, Chrome, Firefox, Opera, Android, iPhone, Windows Mobile, DD-WRT, Tomato, Asus, and even on Torrent clients. If you click on the FAQs option, the site will redirect you to a landing page filled with questions of various types to cater to your support needs. Windscribe smartly divides different questions into categories. For instance, basic queries will make their way into General Questions. You also have separate assistance for Desktop Applications and Browser Extensions. If you wish to resolve a technical issue that is not solvable by the FAQs, you can submit a ticket. This option gets all the professionals at the Windscribe team to answer your queries. 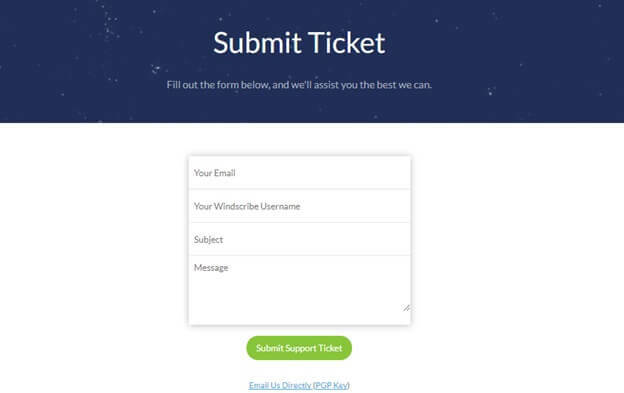 Just enter your email, Windscribe username, subject, and message to get started. Usually, it would take around 4 to 5 hours for the provider to reply you urgently. Our Windscribe VPN review unveils that the service offers dedicated applications for all famous platforms and devices. This includes Windows, Mac, and Linux operating systems, Google Chrome, Firefox and Opera browsers, iOS, Android, and Blackberry smartphones, DD-WRT and Tomato routers, along with config generators for OpenVPN, IKEv2, and SOCKS5 for you to use manually. Upon visiting the download page, the website cleverly gives you suggestions for the software suiting your device/platform/browser. For instance, if you are using a Windows OS and accessing the website using Google Chrome, Windscribe will give you direct download links for you to begin using their product as instantaneously as possible. Ad and Tracker Blocking – One of the best things about the Windows Client is that it comes with built-in ad and tracker blocking features. When you access certain websites, they may leave tracker cookies in your browser. This means, your internet activity is not safe from the eyes of others. However, with Windscribe automatically blocking ads and trackers, you do not have to worry about compromising on privacy. Firewall – In addition to a Kill Switch feature, Windscribe comes equipped with a handy Firewall feature. This works hand-in-hand with the kill switch. It ensures that there are no packet leaks, especially when the connection drops (as the OS itself will make requests behind the scenes). With a firewall, all connectivity outside of the VPN remains blocked. This guarantees there are no leaks at all. IPv6 and DNS Leak Protection – Another exceptional trait of Windscribe is that it offers IPv6 and DNS leak protection. All DNS requests go through an incredibly secure tunnel, which ensures there are no leaks whatsoever. The client also overrides your ISP’s DNS. This guarantees that they cannot snoop on your activity. To activate this feature, you will have to connect via Stealth – a TCP protocol via Stunnel. Cruise Control – This unique feature built into the Windscribe client automatically selects the best server, according to your location and network speed. This allows users from all over the world to receive nothing but the best service, as the VPN will keep rerouting you to locations that are receiving less load/traffic. However, users can still manually shift to a server of their choice, if they want to bypass geo-restricted content. Double Hop – Windscribe enables users to leverage DoubleVPN, a new form of protocol that uses two server locations for masking your IP address and traffic even further. For instance, at one side you can connect to Canada, while simultaneously to somewhere in the UK. This may slow down your internet, but offers double the protection – hence why it goes by the name “Double Hop”. The Windscribe Chrome extensions look and work identically to its desktop counterparts on all platforms. It boasts the same streamlined appearance with an uncomplicated set of options and menus, which allows you to configure VPN connections instantly. You can also choose to “Whitelist” sites that you visit often and want to load fully, such as Facebook or work-related websites. The extension even provides information regarding your previous and current IP address and the bandwidth remaining. According to our Windscribe VPN review, the provider gives affiliate marketers two ways to earn money. One is to use Secure.link for promoting the safety of exploring websites. Use the service for creating links to absolutely anything. If the link you sent leads to anyone signing up along the way, you earn a small commission for the subscription. You can also use traditional URLs that link to the Windscribe for earning money. The provider pays all balances every 30 days using Bitcoin. For each subscription deriving from your efforts, you get 50% of what a user spends. This means, if a user signs up for a month, you get $4.50. However, if they sign up for a year, you get a straight up $45. One of the best things about Windscribe is that it gives users plenty of versatility. There is a referral program available, which allows you to earn free data every month. On lucky days, you might even get a completely paid for Pro account. The rules are simple. For every friend you invite to join Windscribe, you get 1GB of data extra. Your friend will also receive a boost of 1GB. 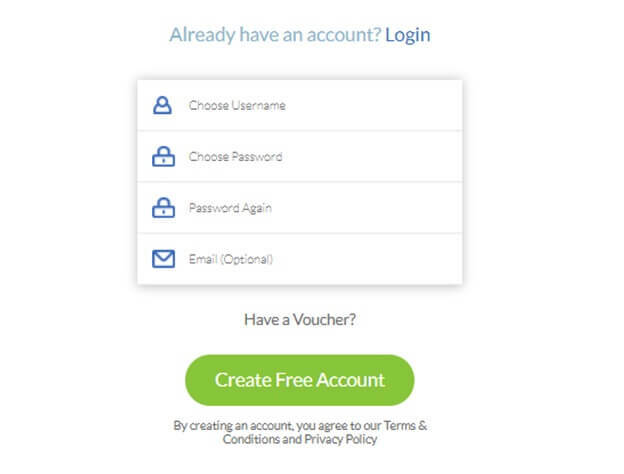 At the same time, if someone you invite signs up for a Pro account, you get one FREE too. Our Windscribe VPN review establishes that the provider is one of the best newbie services in the marketplace currently. It takes a fresh approach to a crowded market, presenting an incredibly versatile product. It works on almost all popular platforms, devices, routers, and browsers. The security features offered are exceptional. The pricing although a little expensive, tend to be worth it. We would definitely advise users to go ahead and try out the VPN. Love checking out reviews for windscribe as it’s a personal favorite of mine. Really happy with the services they provide and the overall features that comes with windscribe. It’s definitely one of the best, and a vpn that I consider as a ‘need’ in this modern age. Superb security features which is always on the top of my priority list when looking for reliable vpns. Great review! Found it really helpful 🙂 I’m still learning my ropes around Windscribe but i’ve found it to be pretty efficient. Do you have any tips to get the most out of it? Or specific features that you personally find work really well? I’d love to hear your feedback. This is my first time using a VPN so want to make the most of it! Thanks in advance, Hamza! Hi Hamza, thanks for a great review, which helped in my deciding whether or not I should give windscribe a go. I did some researching and your review was one of the many I came across which helped me understand how things worked and whether it was worth investing in. I opted to start off with the free plan to see how it goes and after one month I decided to get a yearly subscription. So far it’s been great and all the features and functions work perfectly. I WOULD recommend others to try windscribe out as i’ve had the pest experience VPN wise since I first started using them 2 years ago. Cheers! Thanks for commenting here Cullen. It is always nice to hear something positive about a provider for a change lol Your input will play a role in ranking the VPN service. Just to gain more insight. What problems were you facing with their support team? Also, i agree the VPN is definitely doing better than most high priced counterparts in the market currently.